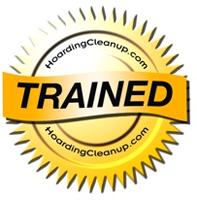 BIOPRO, LLC is the first name in biohazard cleanup throughout Arizona. We have responded to more than 25,000 calls throughout the metro Phoenix area since 1985. A leading provider of crime scene and biohazard clean-up solutions in Arizona, BIOPRO, LLC offers several crime scene cleaning services, including odor removal due to dead body decomposition, as well as blood removal, sanitation and disinfection, homicide scene abatement, and much more. In addition, BIOPRO, LLC also carries out medical waste disposal and hoarding clean-up services. Not just anybody can effectively and professionally clean up a crime scene. This type of service requires immense knowledge and experience, and BIOPRO, LLC offers both. Our trauma clean-up and medical waste pickup teams are extensively and continuously trained, and we take the work we do extremely seriously. Our end goal is to make certain the scene is as clean after we finish the assignment as it was before the crime occurred. We have provided professional and expert cleaning of crime scenes in and around Phoenix for more than 32 years and are Arizona's only properly licensed, bonded and insured biohazard and crime scene cleaning company. In fact, we are the oldest stand-alone biohazard company in the world. Our company was created to help families dealing with the aftermath of a crime, and we are always on hand to provide sensitive and timely services for those families. We understand that death of loved ones can be emotional and even traumatic. Be warned that not every biohazard company will treat you with the same respect as we do. Only agree to do business with qualified, permitted, licensed and insured crime scene clean-up companies for the best results, price and customer experience.